Dries Mertens scored a hat-trick as Napoli trounced Empoli 5-1 to narrow the gap to Serie A leaders Juventus to three points. A rapid ninth-minute counter-attack saw Kalidou Koulibaly provide the final pass that Lorenzo Insigne collected and clipped beyond goalkeeper Ivan Provedel at Stadio San Paolo. 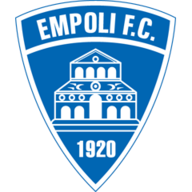 Empoli had a Luca Antonelli effort ruled out for offside before, in the 38th minute, Mertens dribbled into the box and unleashed an angled drive that stunned Provedel. 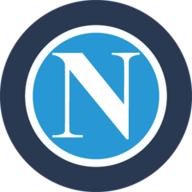 Francesco Caputo briefly made it a contest again when he beat the offside trap and Orestis Karnezis to halve the deficit, but the irrepressible Mertens re-established Napoli's two-goal lead. This time he did not need to enter the penalty area, instead lofting a first-time strike over Provedel. Empoli's heads dropped and substitute Arkadiusz Milik added a fourth at the end of another fast break before Mertens claimed the match ball thanks to an assist from Insigne.